Chief Perdue began his fire service journey as a volunteer firefighter with the Pinecroft-Sedgefield Fire Department and was employed by Guilford County Department of Emergency Services in 1979. He progressed through the ranks and was appointed Emergency Services Director in July 2003 and after 34 years of service he retired in February 2013. Chief Perdue is credentialed as a Chief Fire Officer (CFO) and Fire Marshal (FM) through the Center for Public Safety Excellence Commission for Professional Credentialing. Chief Perdue currently serves as a member of the National Association of Counties (NACo) Telecommunications and Technology Policy Steering Committee, a member of the International Accreditation Services (IAC) Technical Advisory Committee for Fire & Life Safety Departments, a member of the International Code Councils (ICC) Codes & Standards Council and as an Elected County Commissioner in Guilford County, NC. Chief Perdue served eight years as the International Director representing Fire & Life Safety on the International Association of Fire Chiefs (IAFC) Board of Directors and twelve years as the Governor’s fire service appointee to the North Carolina State Building Code Council. Additional service to local, state and national fire service organizations include Director at Large, Vice-Chair and Chair of the IAFC Fire & Life Safety Section, six years as a Commissioner on the Center for Public Safety Excellence (CPSE) Commission for Professional Credentialing, four terms as a member of the International Code Councils Fire Code Hearing Committee, Vice-chair and Chairman of the North Carolina Fire Code Revision Committee, President of the North Carolina County Fire Marshal’s Association and as an advisory board member for the Guilford Technical Community College Fire Science Program. 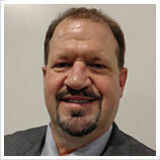 John serves as Managing Director of the Safer Buildings Coalition. John serves the SBC mission through policy, regulation, and code development, by solidifying member services and value, and by establishing a strong operational and financial base as tools to propel SBC’s mission. John has held key business development, operations, engineering, and executive roles at telecom service companies such as Level 3 Communications, MFS, and MCI. John was a co-founder of XO Communications where he was VP of Operations and Engineering, and later VP of International Network Development. John led dark fiber provider City Signal Communications in the position of President and CEO. John served as Capture Director for specialty construction firm Henkels and McCoy, a leading DAS Integrator. John also spent several years in television and video production services with PMTV, developing and managing complex video production projects including sports and corporate simulcasts and broadcasts. John participates on the TIA Smart Buildings Working Group and Public Safety Sub Group, and the Smart Cities Council/WIA City Networks Task Force. John comes from a family with a tradition of first-responder service, with his grandfather, great uncle, brother, and son all serving in the Philadelphia Police department. Jeff has more than 20 years of experience as an executive and entrepreneur. He is a principal with RF Connect, a company focused on the design, deployment and support of high performance wireless networks and applications. 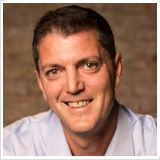 Prior to RF Connect, he founded Digital Data Solutions, Inc., a Midwest Voice and Data Network solutions provider that grew to seven offices in five states with over $20 million in sales before being sold to CTS Companies in 2003. Jeff has also been an Advisor to several start-up companies, assisting them with the development of their business plans, funding and sales execution. Throughout his career, Jeff has participated in several partner leadership councils including Ameritech, The Safer Buildings Coalition, ATT and Cisco and was recognized by Crain’s Detroit Business Magazine as a “40 under 40” business leader. He also acts as Treasurer on the executive board of the The Family Learning Institute and is on the board of Mobility Technology Association of Michigan. 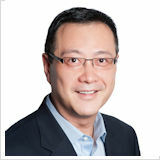 Patrick Lau is director of Business Development for the Americas region at CommScope. In this position, Patrick develops marketing and sales strategies to acquire new customers and break into new vertical markets, captures new mobility opportunities with wireless operators and enterprise customers. He leads a team of professionals providing technical training to wireless and enterprise customers, as well as business partners. Patrick is actively involved in the HetNet Forum and a regular speaker at DAS, Small Cell industry trade shows and conferences. Patrick has over 20 years of experience in the RF telecommunications field. He joined CommScope (formerly Andrew) in 2001 and has been with the company for 16 years. He is based in Richardson, Texas. Patrick received his Bachelor of Science degree in Electrical Engineering (BSEE) and Master of Science degree in Electrical Engineering (MSEE) from the University of Akron (Ohio). Seth is Chairman & CEO of Cathedral Consulting. Cathedral Consulting, LLC was formed in 2004 to provide consulting services to nonprofit organizations. Seth Buechley is the past President of SOLiD US and Canadian operations, where he oversaw a growing team of industry leaders responsible for delivering innovative Distributed Antenna System (DAS) and Optical Transport solutions. He is also the founder of the Safer Buildings Coalition. 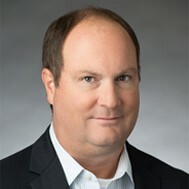 Seth began his wireless career as a co-founder of CORD Communications, a turnkey network implementation company acquired by publicly- WesTower Corporation in 1998. He was then a founding investor and Vice Chairman of Washington Oregon Wireless (WOW), a Sprint PCS affiliate. In 2001, Seth co-founded Tri-Power Group, a leading DAS integrator based in the San Francisco Bay Area. In 2008, he became President of SOLiD USA. Seth is a frequent speaker and blogger about emerging wireless technologies as well as policy and training initiatives within the public-safety wireless market. Seth is the recently-published author of Ambition: Leading with Gratitude, a leadership manifesto highlighting the necessity of gratitude in the lives of driven leaders. An experienced keynote speaker and emcee, Seth is an active member of Young President Organization (YPO) and serves several nonprofit Christian ministries. Kevin is the Western Regional Manager - MSI Account Manager for Cobham Wireless. His experience in the RF industry began with Motorola in 1989. His experience includes being a representative of a broad range of wireless and two-way radio products and a position with Raytheon. Kevin developed CEU credit-earning training through the ESA that that is designed to help with the establishment of an enforceable code with an emphasis on the maintaining RF System integrity. 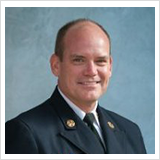 He provided training at the NFPA conference in Boston that focused on helping the Fire Code enforcers develop usable standards within their jurisdictions. Kevin is actively involved with APCO in the western region. City Based ordinances that require In-Building Public safety radio coverage. 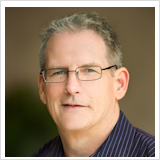 Jeff Alexander is SVP of Engineering and Implementation for indoor networks at ExteNet Systems. ExteNet Systems is a neutral host network and infrastructure solution provider, that funds, designs, builds, owns and operates turnkey in-building networks for use across a variety of building types, including: sports venues, commercial office space, hospitality, and healthcare facilities. To date, ExteNet has active deployments in such buildings as AT&T Stadium, Empire State Building, Ronald Reagan Building, Banner Healthcare, and the Bank of America Plaza. With background across several networking technologies, Jeff leads the national team responsible for the design and implementation (build) of all the in-building fixed and wireless network solutions ExteNet deploys nationwide. As part of this role, Jeff has first-hand experience working closely with the national carriers and AHJs interested in delivering wireless and wired solutions to these many building types. Over his 30+ years in the telecom industry, Jeff worked with multiple wireless communication carriers, Federal and Local Public Safety organizations and private companies to solve coverage and capacity issues. 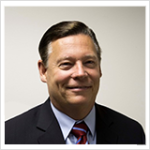 Jeff is considered an expert in the field of Public Safety communications networks.